THIS IS WHAT I CALL ACTION FOOD PACKED WITH GOOD FOR YOU INGREDIENTS TO GIVE YOU ENERGY AND NOURISH YOU. FOR SAVING TIME YOU CAN MIX A BIG BATCH OF THE DRY INGREDIENTS AND STORE IN A CONTAINER, THEN ADD THE WET PRIOR TO EATING. 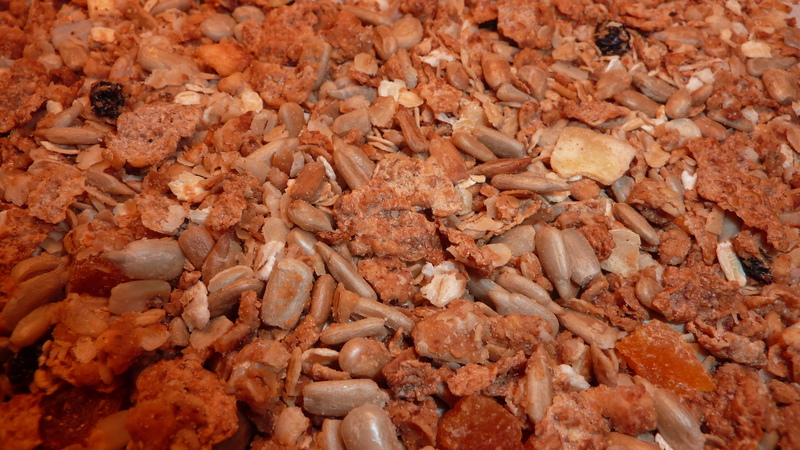 WE SOMETIMES TOAST THE NUTS, COCONUT AND OATMEAL IN A LARGE DRY FRY PAN OR IN THE OVEN FOR EXTRA FLAVOUR, AND ITS GREAT AS A TRAIL MIX TO TAKE WITH YOU FOR A SNACK. EXPERIMENT WITH DIFFERENT DRIED FRUITS, FRESH FRUITS, NUTS AND YOGHURT INSTEAD OF MILK FOR A DIFFERENT BREAKFAST OR HEALTHY SNACK.